Last week saw the first Ever Coerver® Youth Diploma to be delivered in South Africa and the first’s didn’t stop there, this was also the first time that Coerver® Coaching Co- Founders, Alf Galustian and Charlie Cooke have delivered the course together anywhere in the world (see below image). This fantastic week in South Africa started with Alf and Charlie delivering a clinic for the South African Football Association (SAFA). 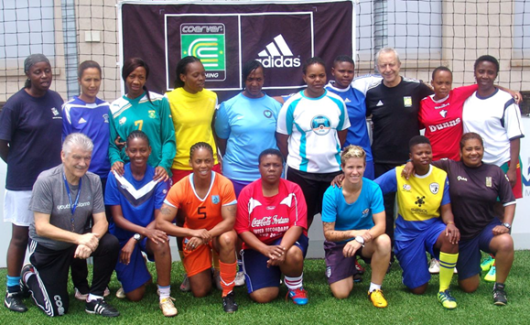 The session was for participants of the CAF B License and attendees included former and current Women’s National Team players (see below image). 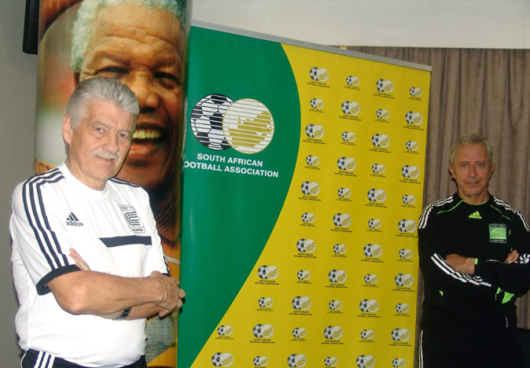 This was not only a great opportunity to introduce the Coerver® Coaching programme to SAFA but to also visit the FNB stadium which hosted the venue the 2010 FIFA World Cup Final as well as the SAFA headquarters in Johannesburg. The Youth Diploma course was held at the University of Pretoria’s High Performance Centre which provided an excellent venue for the 70 coaches who attended from across South Africa. 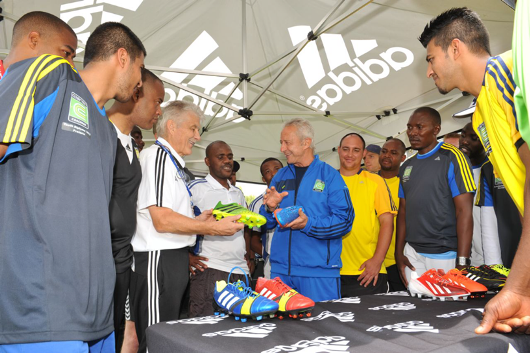 Support also came in the shape of adidas® South Africa who showcased the latest football products on offer from the world’s leading football brand which proved to be an excellent addition to the course and and was a huge success (see below images).